"I would normally never, ever comment on something that was voted on in another county, let alone another state. But, when things like this can negatively impact my county, I think I have the right and duty to comment on it," said Loudoun Board of Supervisors Chair Phyllis Randall. CHARLES TOWN, W.Va. — Though the construction of a new, round-the-clock insulation factory is happening in Ranson, West Virginia, the uproar it has created among some concerned citizens has reached Loudoun Board of Supervisors Chair Phyllis Randall in Virginia. In a WTOP interview, Randall is the first Loudoun County elected official to voice opposition to the Denmark-based Rockwool factory being built in the city of Ranson, nestled inside Jefferson County, West Virginia. The Rockwool site is 12 miles from the Loudoun County line, where West Virginia meets Virginia. “I would normally never, ever comment on something that was voted on in another county, let alone another state. But, when things like this can negatively impact my county, I think I have the right and duty to comment on it,” Randall said. 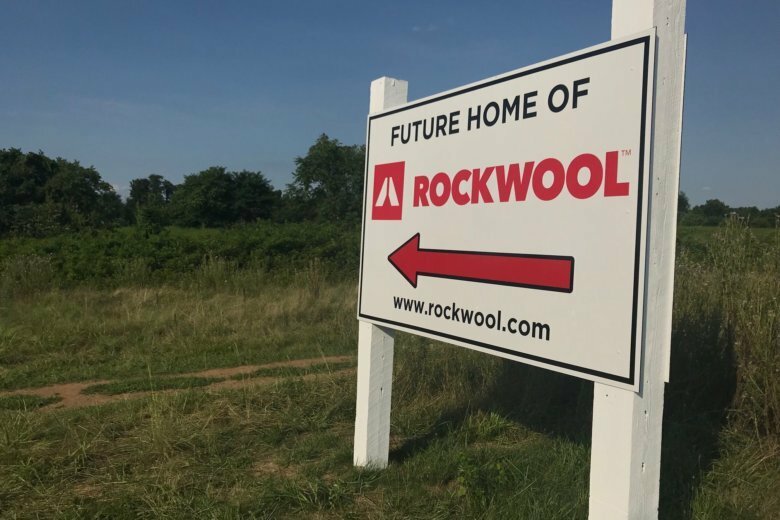 In June, Rockwool broke ground on a $150 million plant, located on a former apple orchard, just off West Virginia Route 9 and near at least four schools. The company melts rocks into molten lava in the manufacturing of stone wool insulation. In the past several weeks, more than 7,000 people have joined a Facebook group named Citizens Concerned About Rockwool — Ranson, WV. Opponents of the factory have expressed fears of what will spew from the factory stacks, as well as concerns about the safety of nearby water supplies. “The concern is that smoke that will be emitted has quite a few chemicals in it — things like benzene, formaldehyde, nitrous oxide that no doubt will waft into Loudoun County,” Randall said. Though Ranson and Jefferson County elected officials gave the green light to a project that would bring 150 jobs to the area, Randall and many residents in West Virginia are critical of the decision. Many in Jefferson County — the most affluent county in one of America’s poorest states — bristle at the suggestion that heavy industry and the environmental risk it brings is beneficial on balance to the Eastern Panhandle community. In a county rich with vineyards, farms and other agritourism, Randall realizes nobody from West Virginia asked for her opinion about Rockwool. Michael Zarin, vice president of communications for Rockwool Group, said air modeling that has been done related to securing an air permit in April shows factory emissions will have very little effect on neighboring Loudoun County in Virginia. “The yearly levels for nitrogen dioxide, sulfur dioxide and particulate matter of 2.5 microns (the smallest particulates measured) will be less than 1 percent of the federal limits for ambient air concentration,” Zarin said. “The Rockwool factory emissions for sulfur dioxide, particulate matter of 2.5 microns, and 10 microns will be less than 2 percent of the 24-hour maximum allowed under federal limits,” Zarin said. “In practical terms, that means there will be no impact in Loudoun County from these pollutants, either on the yearly average scale or the 24-hour maximum scale,” Zarin added. Because of strong community interest in several other pollutants, Zarin said the company also assessed expected levels of formaldehyde, phenol and methanol around the Ranson factory. “For these three pollutants, we assess the yearly average impact in the area around the factory to be respectively 10 times, 100 times and more than 1,000 times lower than the allowed limits under Virginia regulations,” Zarin said, noting West Virginia doesn’t limit those pollutants. But Randall isn’t convinced. Critics of the factory have said the federal Environmental Protection Agency’s Clean Air Act isn’t stringent enough to ensure their families’ safety. Many near the Ranson site argue heavy industry is not the type of economic opportunity the area should pursue. At a Jefferson County Council meeting Thursday, members heard criticism about the plan to build the factory in Ranson. Several residents mentioned the possibility of lawsuits. As the home to most of the internet’s data centers, and with a quickly-growing population, Loudoun County is dependent on energy. Randall has been working to update the county’s 2009 energy policy. Most of the energy the county used in 2009 was produced outside Loudoun County. Randall is attempting to make sustainable energy part of the county’s plan. As concerned residents in West Virginia attempt to use political pressure, and have discussed the possibility of legal action to try to stop the factory, Randall said it is not clear whether Loudoun County will take official steps to try to prevent the factory from being built.